SINGAPORE (Feb 15): Oil prices dipped on Wednesday over concerns that producer club OPEC would not be able to maintain its high compliance so far with output cuts aimed at reining in a global fuel supply overhang. 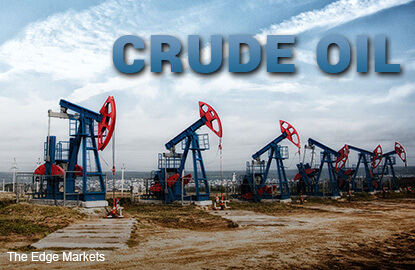 Brent crude futures were trading at $55.80 per barrel at 0115 GMT, down 17 cents from their last close. U.S. West Texas Intermediate (WTI) crude futures, were down 20 cents at $53 per barrel. The Organization of the Petroleum Exporting Countries (OPEC) and other producers including Russia have agreed to cut output by almost 1.8 million barrels per day (bpd) during the first half of 2017. BMI Research said that, based on a calculated compliance of 92.8 percent by OPEC with its planned production cuts, production was down 1.08 million bpd from the agreed upon reference levels. But it warned that a much lower compliance rate of just 40 percent by Iraq, OPEC's second biggest producer, "could prove problematic to group cohesion" as other members of the producer club will have to go beyond their targets in order to meet the overall target of 1.2 million bpd in the first half of 2017. Some traders said upcoming oil field maintenance across the Middle East might help the group achieve production cuts. Yet overall, analysts said that oil markets remain well supplied despite the OPEC-led cuts, thanks in part due to a 6.5 ppercent rise in U.S. oil production since mid-2016 to 8.98 million bpd. U.S. bank Citi said that it was lowering its 2Q 2018 and 4Q 2018 oil price forecasts by $1 a barrel. "Our ICE Brent forecasts for 2Q'18 will now be $63 per barrel and for 4Q'18 will be $58 per barrel to give a calendar average of $60 per barrel," it said. Outside physical oil markets, a rising correlation between crude futures and the U.S.-dollar has caught market attention. Oil prices and the dollar are typically in a so-called inverse correlation, since a strong greenback weighs on crude as it makes fuel purchases more expensive, potentially crimping demand. A weaker dollar supports oil as it makes fuel imports cheaper. Yet that inverse correlation has been upended, and the price link between Brent and the dollar is now at its highest since 2005, Thomson Reuters Eikon data shows. This has come as oil was lifted by the production cuts, while the dollar received support from rising interest rates.